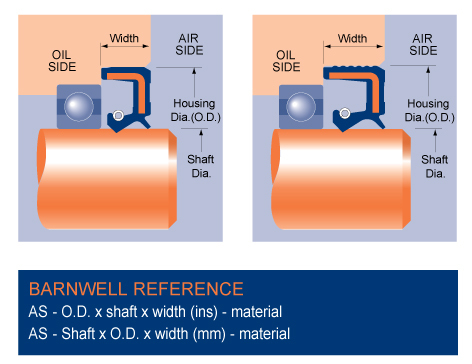 Similar construction to the Type A Oil Seal the Type AS Oil Seal has rubber O.D., with metal insert, primary lip and an additional dirt/dust lip (sometimes called a wiper) moulded within the overall seal width or alternatively protruding outside the seal face. Both types are usually referred to as “semi-dual” lip type, as the name suggests they help prevent the ingress of dust/dirt into the primary lip area. 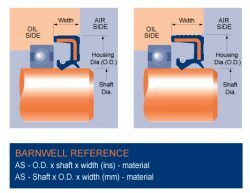 Available in inch and metric sizes in Nitrile (NBR), Viton® (FKM/FPM), Silicone (VMQ), and Polyacrylic (ACM), similar to the Type A Oil Seal range.